Many know the famous Resolutions of Jonathan Edwards. 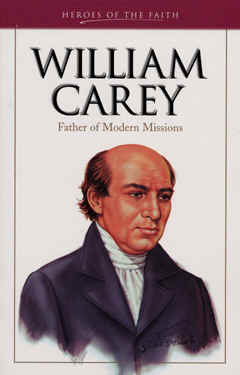 But how about those of William Carey? On October 7, 1805, nine missionaries of the Baptist Missionary Society, including the famous Serampore Trio of William Carey, William Ward, and Joshua Marshman, signed a covenant in Serampore, India. This declaration of missionary strategy would serve as a cornerstone document for future generations. At the time, Carey had been in Bengal for twelve years and more than five in Serampore. William Ward, the young printer, most likely drafted the document. The day earlier the missionaries celebrated the twelfth anniversary of the Society. By this time, converts were streaming in, the schools were growing, distant fields were being reached, and new recruits arriving. The time was ripe for a concise missionary philosophy. The celebration began with a 6 a.m. prayer meeting. They agreed to read the agreement at every mission station three times a year. Among the signatories of the agreement was the twenty-year-old son of William Carey, Felix, who had been baptized five years earlier alongside the Society’s first convert, Krishna Pal. Of the other five participants, John Bliss died at sea only four months later. William Moore married the widow of Bliss after Moore’s own wife died. By 1823, only William Carey and Joshua Marshman remained of the original signers. Below is a summary of the eleven propositions put into heading form by one of Carey’s biographers, S. Pearce Carey. The agreement itself, however, is several pages long. I have broadened some divisions by expanding on what they said. Respecting the great principles upon which the brethren of the Mission at Serampore think it their duty to act in the work in instructing the heathen. Then, they marry the glorious union of election and evangelism. We are sure, that only those who are ordained to eternal life will believe, and that God alone can add to the church such as shall be saved. Nevertheless we cannot but observe with admiration, that Paul, the great champion for the glorious doctrines of free and sovereign grace, was the most conspicuous for his personal zeal in the work of persuading men to be reconciled to God. It is absolutely necessary that we…often endeavor to affect our minds with the dreadful loss sustained by an unconverted soul launched into eternity. It becomes us to fix in our minds the awful doctrine of eternal punishment. If we have not this awful sense of the value of souls, it is impossible that we can feel aright in any other part of our work, and in this case it had been better for us to have been in any other situation rather than in that of a missionary. Oh, may our hearts bleed over these poor idolaters, and may their case lie with continued weight on our minds! 2. To acquaint ourselves with the snares which hold the minds of the people. 3. To abstain from whatever deepens India’s prejudice against the Gospel. We should also avoid every degree of cruelty to animals. Nor is it advisable at once to attack their prejudices by exhibiting with acrimony the sins of their gods; neither should we upon any account do violence to their images, nor interrupt their worship. 4. To watch for every chance of doing the people good. We are apt to relax in these active exertions, especially, in a warm climate; but we shall do well always to fix it in our minds, that life is short, that all around are perishing, and that we incur a dreadful woe if we proclaim not the glad tidings of salvation. 5. To preach “Christ crucified” as the grand means of conversions. 6. To esteem and treat Indians always as our equals. It is absolutely necessary that the natives should have an entire confidence in us, and feel quite at home in our company. We ought to be easy of access, to condescend to them as much as possible, and on all occasions to treat them as our equals. All force, and everything haughty, reserved and forbidding, it becomes us ever to shun with the greatest care. We hope always to have the assistance of the females. It behooves us therefore to afford to our European sisters all possible assistance in acquiring the language, that they may…become instrumental in promoting the salvation of the millions of native women. 8. To cultivate their spiritual gifts, every pressing upon them their missionary obligation—since Indians only can win India for Christ. [Missionaries ought to lead by example rather than authoritative means, for] by this [the natives] learn to see the evil of a custom, and then to despise and forsake it; whereas in cases wherein force is used, though they may leave off that which is wrong while in our presence, yet not having seen the evil of it, they are in danger of using hypocrisy, and of doing that out of our presence which they dare not do in it. 9. To labor unceasingly in biblical translation. 10. To be instant in the nurture of personal religion. Let us forever shut out the idea of laying up a dowry for ourselves or our children.